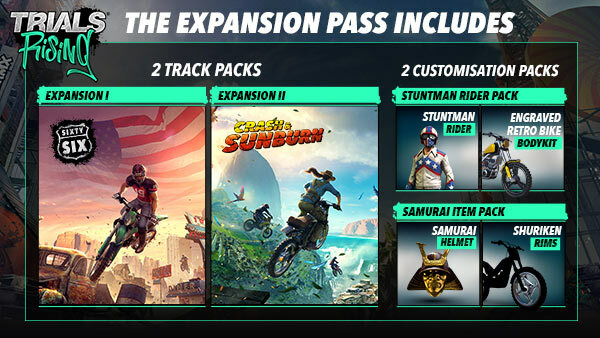 NOTICE: Requires the base game Trials Rising in order to play. Activation key must be used on a valid Uplay account. Requires internet connection. Samurai Items: enjoy extra customisation items to slash through the tracks with the spirits of ancient samurais to guide you! Ride accross the US along the famous Route 66 and explore the American southwest. The pack also includes the Touchdown outfit which lets you cross the finish line as an American football player.